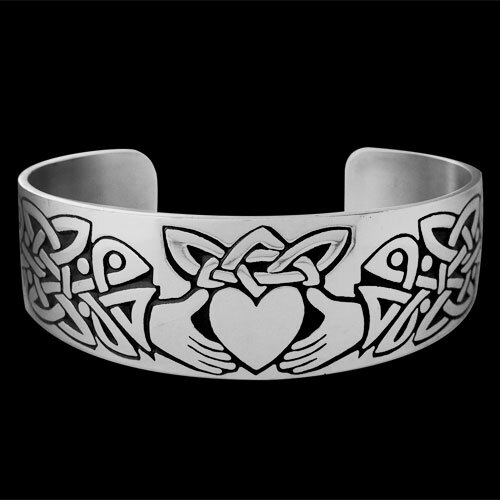 Sterling Silver Knotwork Claddagh Bracelet by Metal Arts Group. Originating from Irish culture, the Claddagh design is often given as a sign of commitment between two lovers. The Heart represents Love, the Hands represent Friendship and the Crown represents Loyalty. 6 x 0.9 inch Sterling Silver Knottwork Claddagh Bracelet by The Celtic Lady. Made in USA. Fits a 6.75 inch wrist.